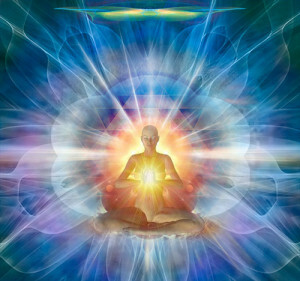 Higher Consciousness is spiritual or mystical awareness and there are many levels of higher consciousness which you can experience as you learn how to daily move through your normal mind with all its thoughts about past, present and future and enter the infinite, unlimited part of your being. Higher Consciousness is an ever-increasing awareness of your spiritual essence, the meaning of life and of the underlying spiritual nature in all things. In elevating your awareness beyond your normal thought processes you can experience your true nature and God potential. It however is the least understood and least accessed aspect of consciousness because it does not belong to the physical or mental realm. Its domain is the spiritual realm. It is the you that is all-knowing and all-powerful and is one with Universal Mind. It is the you that is beyond not only the physical world but also the emotions of your mental world. Your higher self does not distinguish between good or bad, wrong or right, happy or sad – not because it is unable to but because it has no need to for it only knows balance, love, eternal detached observance and stillness. Your reality which is not actuality is an Illusion: Your higher conscious self knows that your physical outside world that you experience as your reality is an illusion. It knows that your circumstances, whether wanted or unwanted, are simply a reflection of your inner world which itself is a product of your thoughts. It knows that your reality is the mirror that allows your conscious self to experience itself. In this knowledge, your higher conscious self is always still and at peace. It observes your success and your failure, your joy and your pain knowing that it is all a dream. Where your conscious mind is the commander and your subconscious mind the subject, your higher conscious self is your kingdom. It is in reference to your higher self that Jesus Christ said “the kingdom of heaven is within”. All three aspects are One – varying degrees of a singular Mind, itself pure energy vibrating at different frequencies. You already possess it all you need to do is become consciously aware of it.